The 2018 edition of the triennial Pension Adequacy Report analyses how current and future pensions help prevent old-age poverty and maintain the income of men and women for the duration of their retirement. Volume I is devoted to comparative analysis of pension adequacy in the EU- 28. 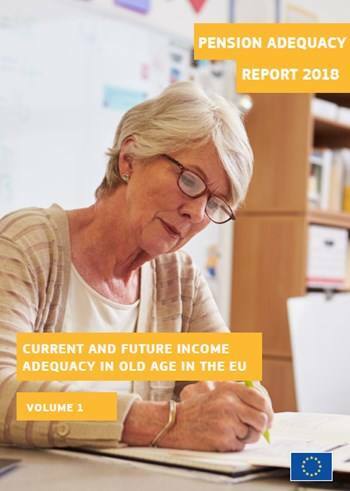 It examines the current living standards of older people and how they are shaped by pension systems, proceeds with an overview of recent pension reforms and concludes by analysing the main challenges to the adequacy of future pensions and ways of tackling them. Among other issues, the report highlights the gender differences in pension entitlements, the pension adequacy of persons in non-standard or self-employment and the role of supplementary pensions. Volume II provides a more detailed description of the pension system and pension adequacy in each of the 28 Member States.